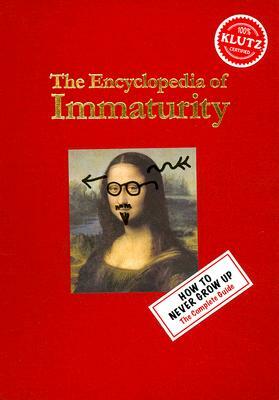 The original handbook on How to Never Grow Up, The Encyclopedia of Immaturity contains more than 300 entries, including essential life skills (How to Hang a Spoon from Your Nose and How to Make Your Dog Yawn), secret knowledge (Alien Abduction Dos and Don'ts and The World's Easiest Card Trick) and useful material (The Best Knock-Knock Joke Ever Told and How to Predict Your Height). Because just because you're getting older doesn't mean you have to grow up, and this funny book for boys and girls will help make sure that you don't. Comes with: 410 pages of infinite wisdom.